I have been experimenting a lot with REESE Spreads. 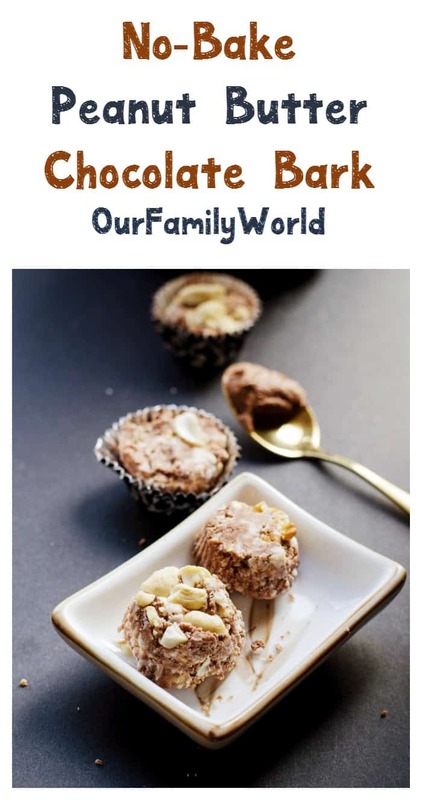 I have tried the madeleine recipe that I shared few weeks and now I am excited to share this new delicious 3 ingredient no-bake dessert. It can make a delicious edible gift idea. This dessert is inspired from my childhood! My mother was always experimenting in the kitchen and I was always eager to taste her creations. She used to make this dessert during the holiday season! The nice thing about it, besides that it’s no-bake, is it can be made ahead of time and it will taste as good as the first day! She had to hide it though because it was soo good that my sisters and I were always gobbling them. Eventually, it turned into a hide and seek game. We had to find where my mom stashed the dessert! You know, like a scavenger hunt but for dessert! Now let’s see how you can make this delicious recipe and how I put my spin on it. The original recipe used chocolate milk bars and nuts! The original quantities are 3 cups of chocolate for 1 cup of crushed nuts. I adjusted them to my needs and I added REESE Spreads to the mix. That was delicious. A handful of your favourite crushed nuts. (I used around 2 tablespoons). Adjust the amount to your preference. My husband is a huge fan of nuts so I make sure to add more rather than less. Place some of the crushed nuts into the muffin liners. Put the chocolate chips in a microwave-safe measuring cup. Add REESE Spread! Microwave until the chips melt. I usually microwave for 30 seconds at a time, then stir in between until it’s done. Once melted, add the rest of the nuts to the mixture. Combine well. Spoon the mixture into the muffin liners. Let it cool at room temperature for at least 1 hour. It yields 4 to 6 chocolate mini chocolate cups! Isn’t this no-bake white chocolate peanut butter cups recipe so easy to make? You can add some sprinkles or other decorations for the holidays if you want, but I love how elegant they look on their own. Grab a pretty holiday tin from the dollar store to place them in and you have the perfect homemade gift! Of course, that’s if you can keep your family from eating them all before you hand them out! Looking for more recipes in The Golden Spoon Recipe Series? Check out the hashtag #DoYouSpoon on social media! Do you have a favorite holiday recipe that would taste better with REESE Spreads? Tell us about it in the comments! Disclosure: Although this post has been sponsored by Hershey Canada as part of the Golden Spoon Recipe Series, all opinions are my own. These look absolutely delicious. I am always looking for a new sweet treat. Those look pretty yummy! I think some mint in there would be perfect. They look yummy. I will have to try them. This looks so delicious and totally doable! I’m not the best at cooking or baking but I can’t wait to give this a try. Oooh this loook soooo good!! 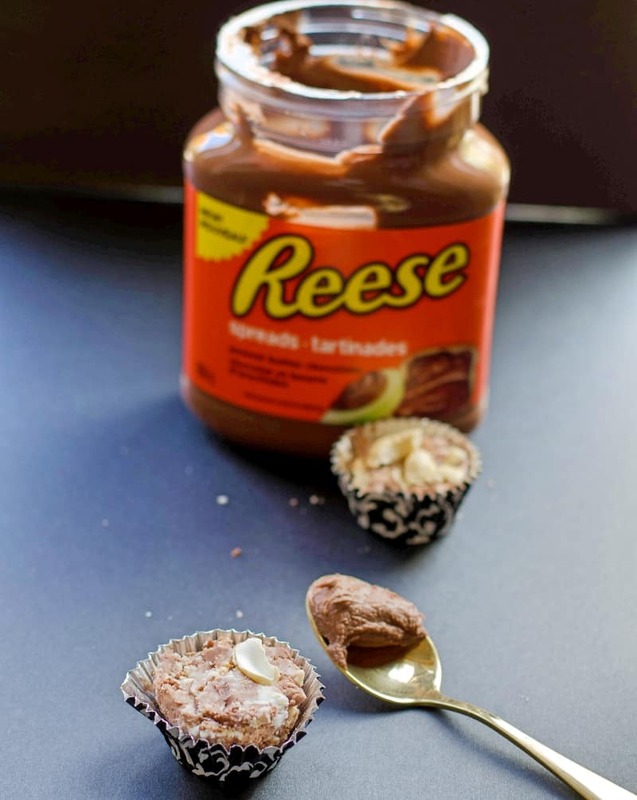 I love white chocolate and peanut butter cups so this is right up my alley! Also I love these kind of no bake treats! Yum! This looks so good! My husband has always been a huge peanut butter and chocolate fan so we make it a lot in our house! Ok, I need these like now. Wow, these just look delicious! My husband makes some awesome peanut butter cookies. Reese’s spreads would definitely kick it up a notch! YUM! These look divine. I can’t resist peanut butter anything! All of my favorite things in one bite and no baking!? Count me in! This looks delicious! This looks yummy!! I have many friends who love white chocolate, this would be a great treat for them! This looks absolutely divine. My mouth is watering right now. I have to make this. These look really good! My kids will go crazy for these! Definitely a must try! I have never heard of Reese Spreads but now I’ll take a look in my grocery for them. My kids would love these treats. Holy. Moly. You sold me with just the pictures. I love me some peanut butter, and I LOVE white chocolate. I can’t wait to make these. I tend to have an insane sweet tooth and nothing satisfies like Reese! The fact that these are no bake just makes me love them even more. This looks and sounds very tasty. I love peanut butter and know my family would be thrilled if I would make something like this. I love to try no bake recipes. These look so delicious and easy to make. I am sure they will be a big hit with my family. This looks sweet. I seen the Reese spread and was curious and now i feel like I need to pick some up! I NEED to try this spread!!!!! My son will devour this! YES, YES, AND MORE YES!! My husband would go absolutely NUTS for these. He loves peanut butter cups. 🙂 Thanks for sharing. You had me at NO BAKE! 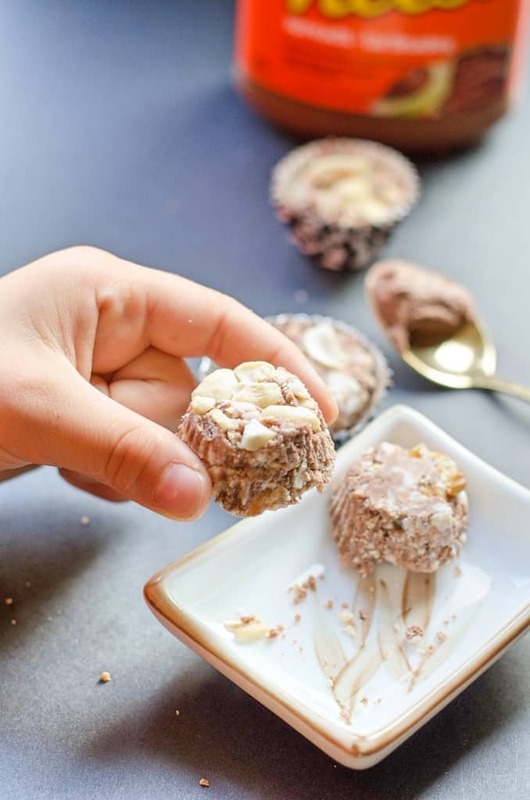 and these are the perfect energy bites-when you need a quick jolt of sweet and to satisfy your dessert craving! And the fact that they are made of peanut butter is the icing on the cake! I agree, anything no bake is right up my alley! I love finding new no bake recipes. Yum this looks delicious. 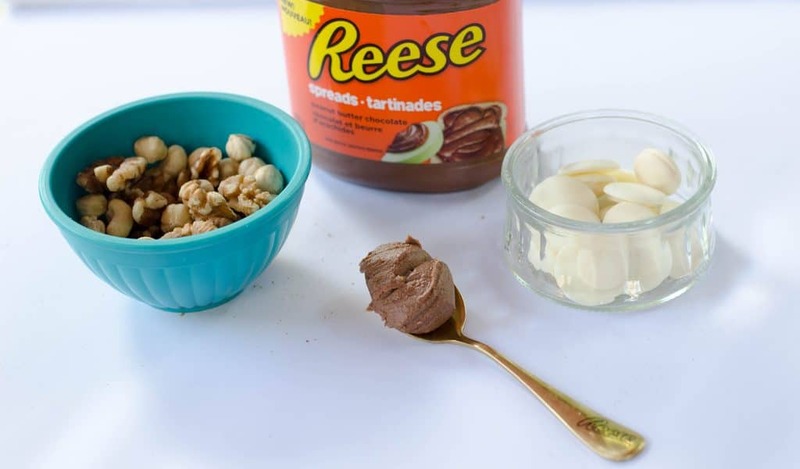 I love reese spreads, they are a serious weakness for me and no-bake? I’m sold! Will have to make these! I really need to pick up those spreads more often. We had one container and we went through it quickly. I am a big fan of no bake desserts. 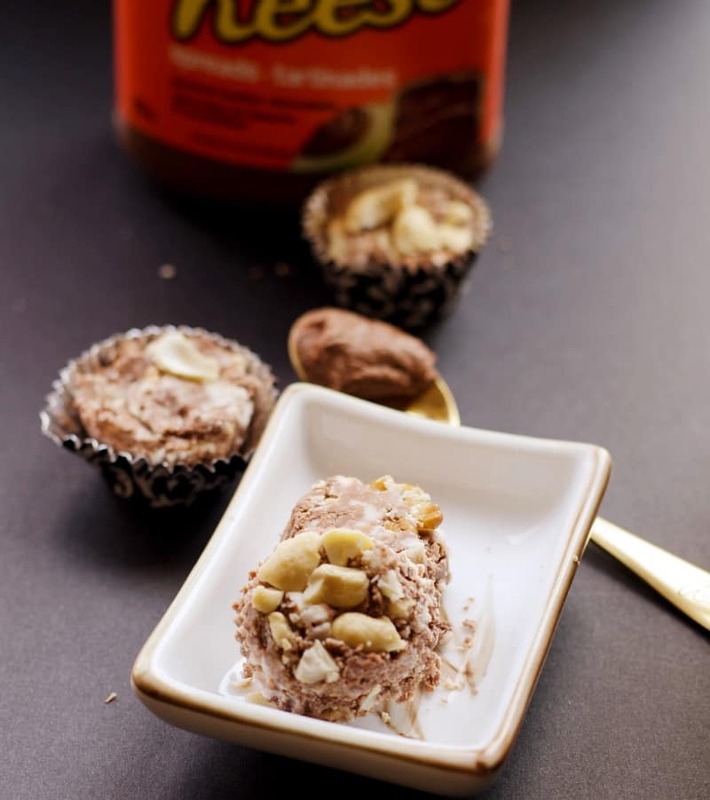 Your recipe has all my favorites that I look for in a dessert – chocolate, peanut butter and nuts. Thanks for sharing. I’m making a large batch for my family. Reese’s are my favorite. This recipe sounds like it is sure to be a crowd pleaser. Oh this is the best use of Reese spread! What a fun idea! I need to make a bunch of these. Oh my goodness those sound yummy! I love white chocolate but the addition of peanut butter is a flavor combo I know I’ll be dying for. No Bake and Reese’s? That’s a winning combination right there! I can’t wait to try them! This sounds so good. I love the Reese spreads. I have some in my cabinet now. This looks so yummy! You can never go wrong with chocolate and peanut butter. Thanks for the recipe. You had me at no-bake! These seem so easy and I would probably eat them all at once! Those sound so good! I love that on top of being no bake, they don’t take very long to put together. I can’t wait to try these. Those look so good! You sold me on no bake. I love to make treats, but I have no time to cook. I am right there with you. Halloween being on a Monday this year is killing my plans. These look really delicious. I love all things peanut butter so I will have to try them. Are You Unknowingly Exposing Your Family and Pets to Pesticides?